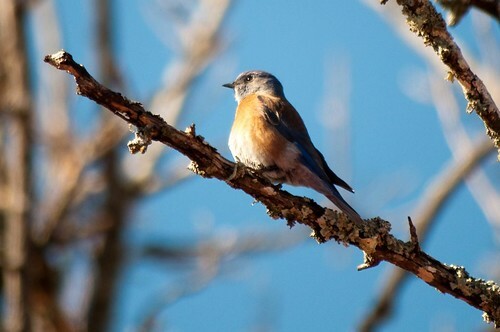 One of the most unexpected finds while at the Texas Ranch was the discovery of Western Bluebirds (CHECK Lifer). 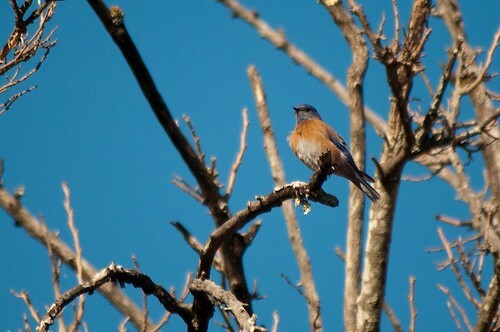 We only saw the bluebirds on the last two days in Texas but they were sure there in numbers. 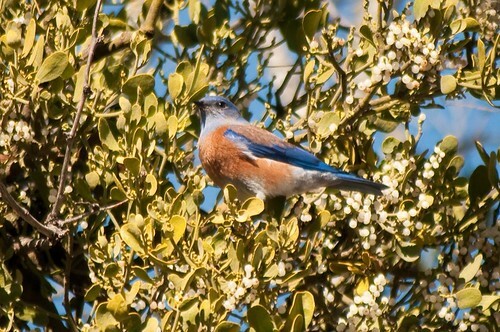 Patty and I had the opportunity to watch a few Western Bluebirds feeding on mistletoe berries. Mistletoe is a parasite plant that grows within the branches of trees and shrubs. The white berries are loved by the birds and we actually saw many species feeding on them including a Yellow-rumped Warbler. It is amazing how I would walk for hours and hours looking for birds, when outstanding birds like this could be found right next to the ranch house with other great birds like the Ladder-backed Woodpeckers and Golden-fronted Woodpeckers. This entry was posted on 16 February 2010 by mon@rch. It was filed under Birds, Flickr, Nature, photography and was tagged with Ranch, texas, Western Bluebird. 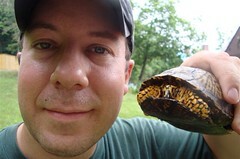 Hmm not sure why this didn’t end up on the front page. Must be some bug. Sorry everyone. The western bluebird is a very pretty bird. I like the different colors of this bluebird. My favorite picture is the very first one. We don’t have Sialia’s here in Belgium… But we do have mistletoe, and the bunch that bird of the first picture is sitting is, is really beautiful!